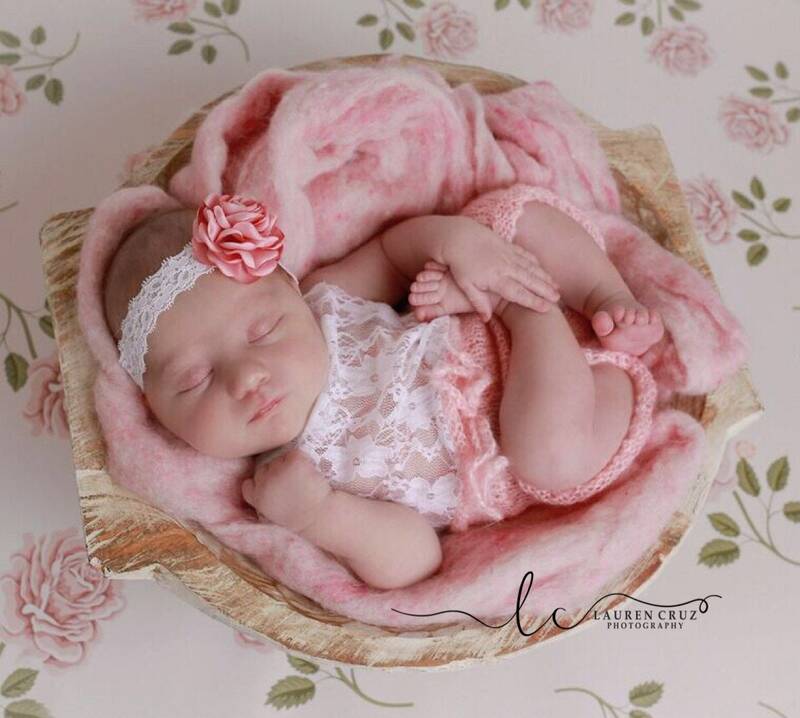 Peachy pink and white mohair and lace halter top romper, or all white, for newborn photos, AND/OR satin flower lace headband, bebe foto, by Lil Miss Sweet Pea. The bottom (pants) are mohair and the romper top is white unlined lace with a tieback neck. This will fit newborn’s to an average weight of 9 pounds. It is NOT meant as everyday clothing. 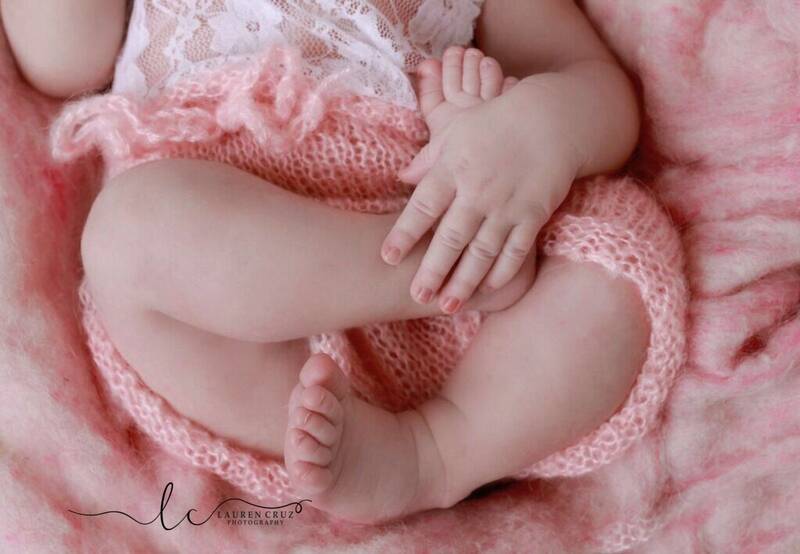 We only carry newborn sizes. The headband is optional and will fit a baby from 0-6 months. Due to the nature of our items they are not returnable. Please be sure to read all the details of the listings before purchasing. International shoppers may be charged customs fees on delivery by your postal service. We are not responsible for international customs charges, we have no way of estimating them.